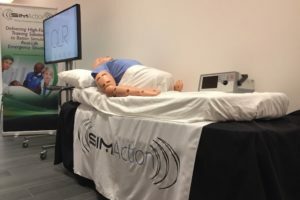 Recently at Cedar-Sinai’s Virtual Medicine inaugural conference recently, HealthySimulation.com was on hand to learn more from the innovative companies leading the way for Virtual Reality in Healthcare. 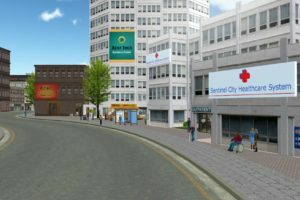 Without a doubt, Boston Children Hospital’s collaborative endeavor with Klick Health to create a new 3D patient VR educational experience stole the show. 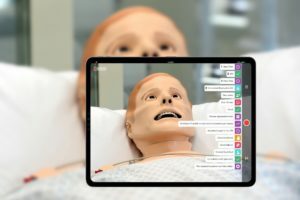 Not only did the VR technology bring a “wow” factor to HealthySimulation.com’s staff writers, but also the clear and focused efforts of the team to create an immediately useful product with a brilliant interface and the potential to change healthcare powerfully. And all with the desire to help pediatric patients live better! Sitting down with Pediatric Gastroenterologist Dr. Michael Docktor, the use case was immediately clear to us when he explained the need for this product: “Imagine the challenge of explaining to pediatric patients where and what is happening inside their intestines, with nothing more to give parents as a takeaway except a multipage report with a few images and mostly medical jargon — but what can we do with limited time to explain the diagnosis in an easily understandable way”? He continued, “Now imagine with a simple easy-to-use drag and drop system that takes just moments, the physician could immediately create a realistic and personalized patient experience that engages and educates them with the latest in VR technology during the exact same visit — that is what we have built with HealthVoyager.” After the physician quickly creates the personalized patient record with a drag-and-drop interface, the patient can immediately load their customized VR experience onto their apple phone and use an affordable plastic clip-on glass attachment, Google Cardboard, or another VR headset to experience their own body in 3D! For added context, they can also compare their unique findings of their GI tract with a tour of an unaffected patient’s procedure. 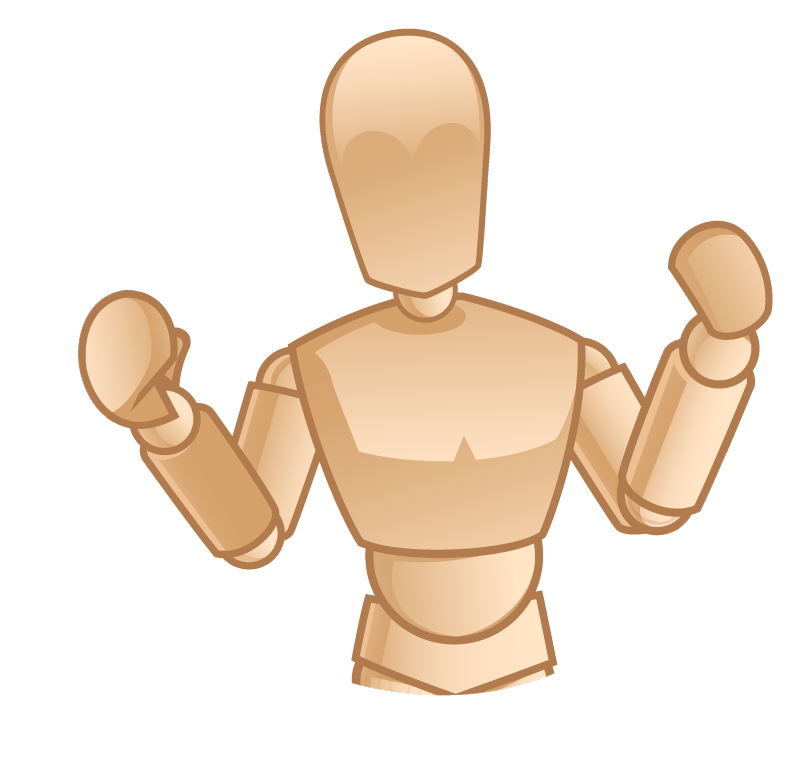 The experience starts for the pediatric user who builds their own avatar, which then we go into “x-ray vision” to see into their abdomen. A fantastic way to connect pediatric patients with easy engagement that then gets into more complicated understandings and experiences. The only creative license taken in the simulations was to create “light at the end of the tunnel” when touring inside the intestines as the team found that the more realistic darkness created anxiety in children. 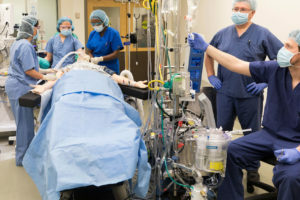 The first iteration of the tool, developed by Boston Children’s Hospital and Klick Health, has been designed for pediatric gastrointestinal (GI) patients and is being used at Boston Children’s as part of a clinical study to validate its effect on patient and family understanding, engagement, and satisfaction. 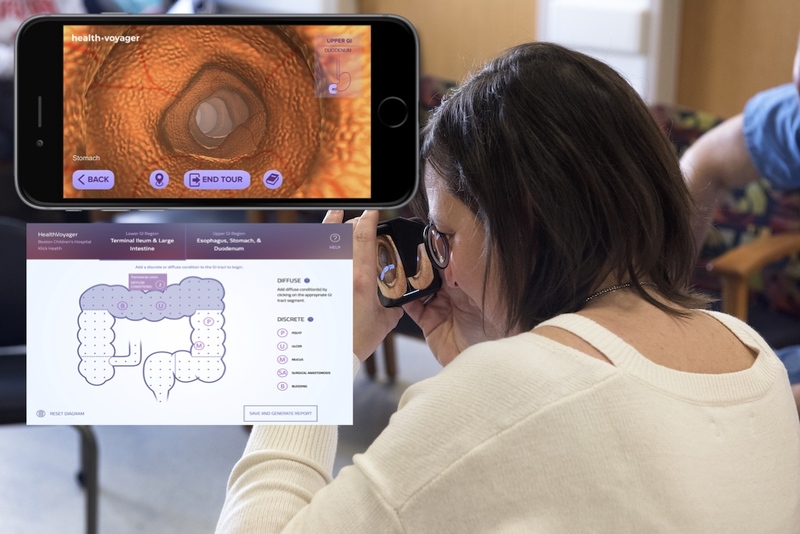 By integrating into the clinical workflow of endoscopic procedures such as colonoscopies, HealthVoyager GI will enable Boston Children’s gastroenterologists to custom-configure life-like, 3D anatomical imagery and take pediatric patients with conditions such as Crohn’s disease and ulcerative colitis on iPhone-based virtual tours of their GI tract. Aimed at creating an impactful, engaging, and memorable experience, the platform leverages modern technology to communicate a patient’s personalized conditions and endoscopic findings. 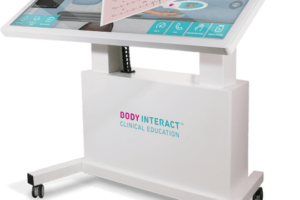 We saw the system in action and can attest, HealthVoyager has the potential to revolutionize patient education around the world. “We hypothesize that the more children and their families can visualize and understand their disease, the more likely they may be to communicate when they have a particular symptom and adhere to their therapies”, Dr. Docktor told us.  An intermediary web service that ties the two together. The platform is compliant with the Health Insurance Portability and Accountability Act (HIPAA) and is being developed to be accessible from within a hospital’s electronic medical record (EMR) systems to protect the privacy and security of patient health information and ensure clinical adoption and sustainability. It runs on iOS but Android compatibility will be available on future versions. 1. The physician inputs the clinical findings of a patient’s endoscopy and/or colonoscopy onto a proprietary web interface that customize the upper and lower GI tract digital illustrations on the platform. Using drag-and-drop functionality, the physician can accurately place polyps, ulcers, bleeding, and other conditions precisely where they are found during the actual procedure(s). 2. The physician clicks to generate the patient report and bring the clinical findings to life in a customized 3D anatomical virtual reality experience. 3. The tool automatically generates a PDF report with unique patient QR code to share with the patient and family. (This report can also be attached to the patient’s medical record). 4. The patient/family scans the custom QR code using their mobile phone to access their personalized HealthVoyager experience. 5. The patient creates their personalized avatar on the app. Using VR clip-on glasses, Google Cardboard, or another VR headset, the patient clicks to start their own customized VR tour inside their GI digestive tract, traveling through their upper and lower GI regions in 3D to see an accurate representation of what their doctor(s) saw during their procedure(s). Developed as part of a collaborative innovation partnership between Klick and Boston Children’s Innovation & Digital Health Accelerator, HealthVoyager GI is the subject of a clinical study at the hospital. It is being measured against the current standard of care with regard to patient/parent satisfaction, engagement, and disease/findings awareness levels. Klick and Boston Children’s are also exploring the expansion of the platform to other disease states, anatomical areas, and patient types. The HealthVoyager team showed us that its not just the “wow” factor of the VR technology, but the ability for fast adoption by physicians and powerful outcomes for patients that make it something special! Boston Children’s Hospital, the primary pediatric teaching affiliate of Harvard Medical School, is home to the world’s largest research enterprise based at a pediatric medical center. Its discoveries have benefited both children and adults since 1869. Today, more than 3,000 scientists, including nine members of the National Academy of Sciences, 17 members of the National Academy of Medicine and 11 Howard Hughes Medical Investigators comprise Boston Children’s research community. Founded as a 20-bed hospital for children, Boston Children’s is now a 415-bed comprehensive center for pediatric and adolescent health care. Klick Health is the world’s largest independent health marketing and commercialization agency. Klick is laser-focused on creating solutions that engage and educate healthcare providers about life-saving treatments and help inform and empower patients to manage their health and play a central role in their own care. Every solution hinges on Klick’s in-house expertise across the commercial universe—strategy, creative, analytics, instructional design, user experience, relationship marketing, social and mobile. Klick Labs helps life science organizations advance healthcare through the application of emerging concepts and technologies. Learn more on the HealthVoyager Website Today!